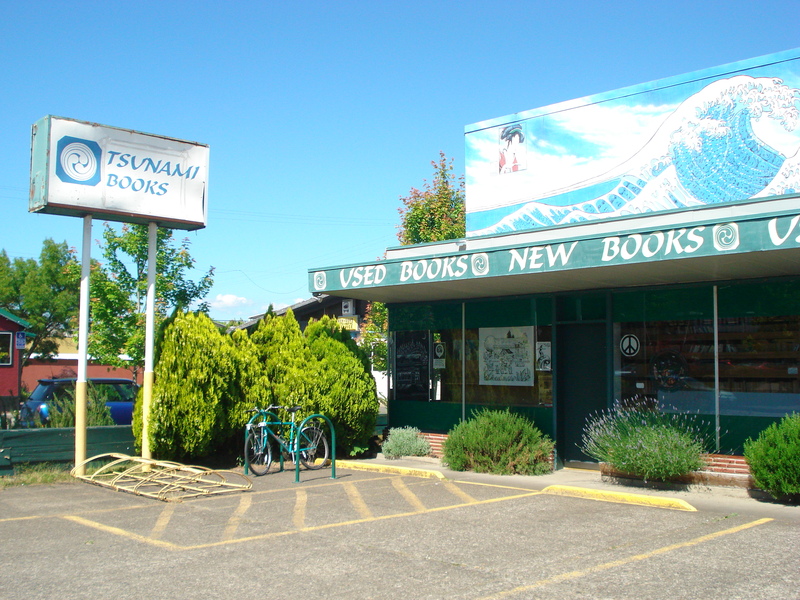 In an age when the best-known independent bookstores (such as another Oregon spot, Powell’s Books) are often behemoth retail machines of their own, spots like Eugene’s Tsunami Books are a welcome reminder of the Real Thing. With a knowledgable staff and a great selection of books both used and new, Tsunami caters to the community by supporting local authors and hosting the monthly Eugene Poetry Slam (or Tslam, as the Tsunami folks call it), plus a calendar full of concerts, readings, book signings and even astrology forecasts. So next time you’re in Track Town USA, drop by this spot on 25th and Willamette–just look for the trademark Red Truck outside, and be sure and tell them the Tate Street High Society says hello.